TeamSpeak Client for Mac is extremely popular free communication software that provides high quality voice chat via the Internet to users who are interested not only in 1 on 1 chat, but also group chat that can have dozens and sometimes hundreds of participants. 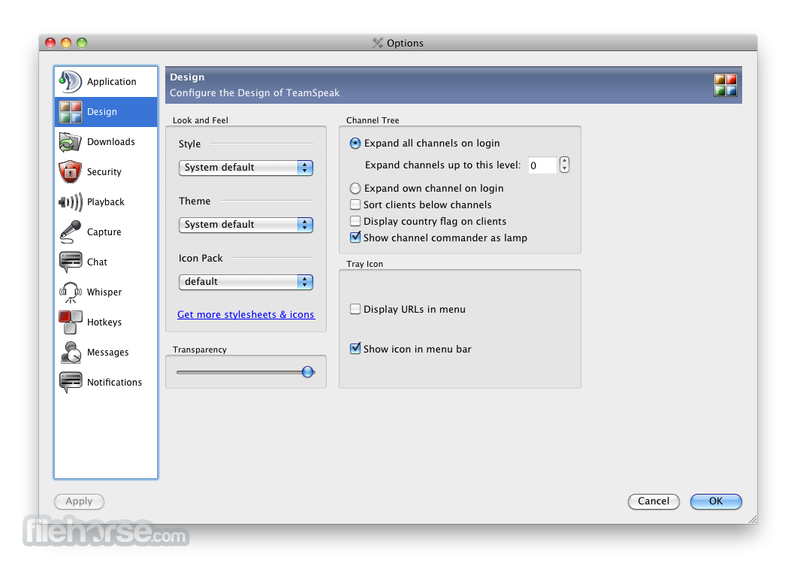 The base functionality of TeamSpeak is in its connection between Mac clients and internet dedicated servers, which serve as a transfer points for all your audio streams. This centralized structure provides higher quality sound than other solutions that use peer-to-peer connections. Interface of TeamSpeak for Mac client is well-organized, enabling users easy access to server load area, and listings of all the available rooms that were present on the server. 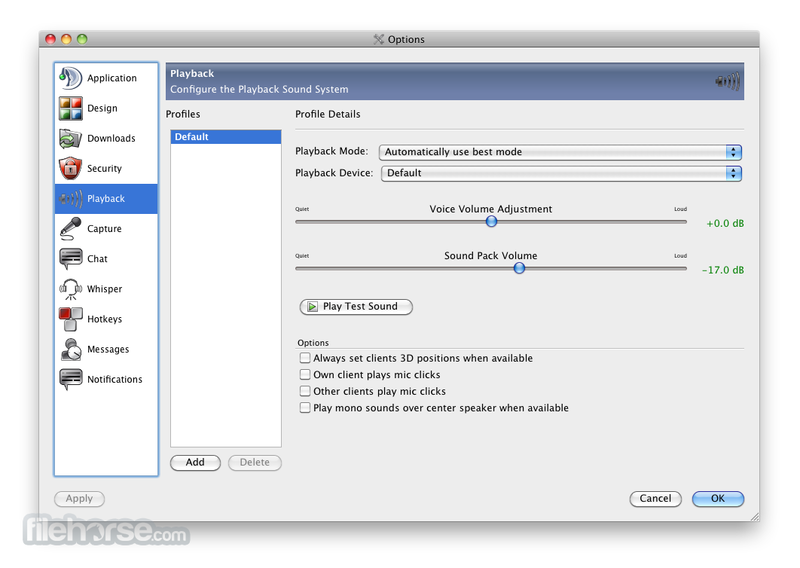 From there users can simply enter any room with the doubleclick of their mouse and easily access customization options (keyboar bindings for mute/unmute, set their microphone and speaker levels and more). During gaming sessions, Team Speak Client can also be accessed via very useful in-game overlay. With TeamSpeak you can easily talk with hundreds and thousands users simultaneously, enabling you to use it for large scale teleconferencing in both professional and home situations (such as video gaming or gathering with friends and family). TeamSpeak is absolutely free, and lets you incredible freedom and power in the world of online voice chat. TeamSpeak comes in two basic packages – TeamSpeak Client and TeamSpeak Server. Both are free for use, but can be expanded with more advanced server options and less restrictions with annual subscriptions that starts with $30. Completely configurable keybindings (hotkeys) to quickly join specified channels, mute your microphone, etc.